Product code: 308 Categories: Sold Items, Sold Pocket watches. 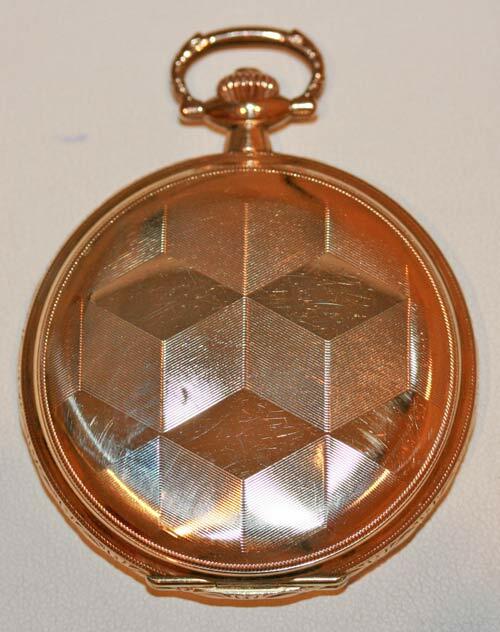 This is a very handsome gents full hunter pocket watch. With a lovely reflective dial and gold filled case, it dates from the mid-1920’s and is in excellent condition. The dial has Arabic numerals, as well as 24 hour indicators on the outer side, and sub-seconds at the bottom, making it a very easy to read pocket watch. Inside, is a lovely fully jewelled Swiss movement, with a Breguet overcoil hairspring and micro-regulator, making it very accurate. As with all of our time pieces, it has been fully serviced and comes with a warranty.